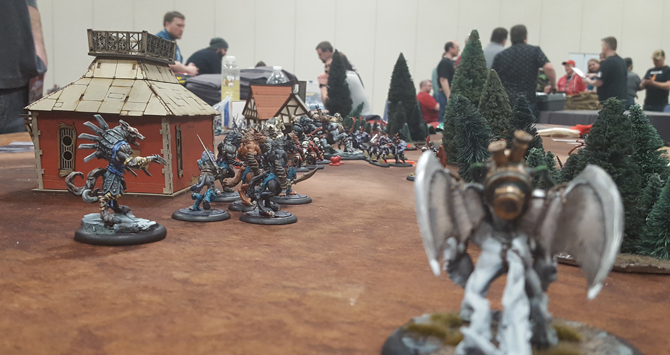 ADEPTICON – What a blur! 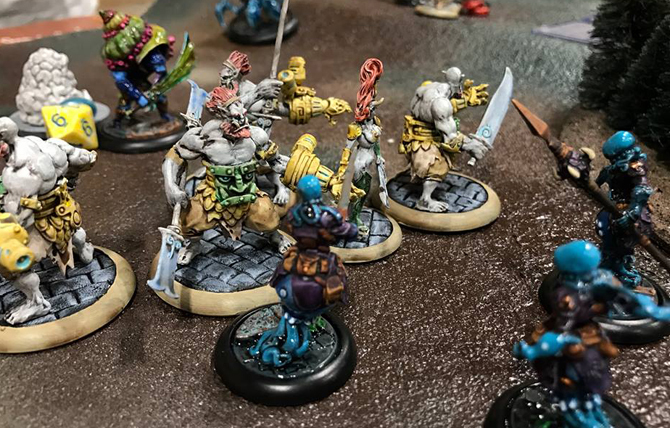 Over the weekend of March 23-26, we were rushed off our feet at AdeptiCon (in Schaumburg, Illinois). There was so much going on, and our booth was incredibly busy the entire time. 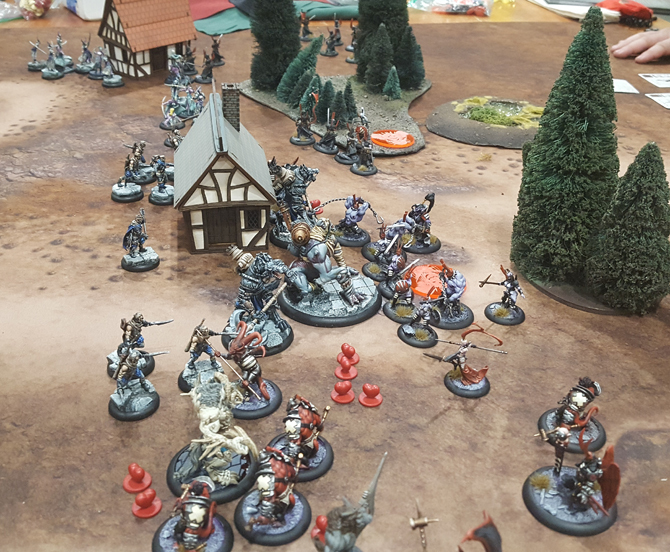 Lots of people excited to expand their existing forces, and many more finding out about Wrath of Kings for the vey first time. The most popular boxed set was obviously the Celestial Host, not many could resist the lure of two huge elephant models. 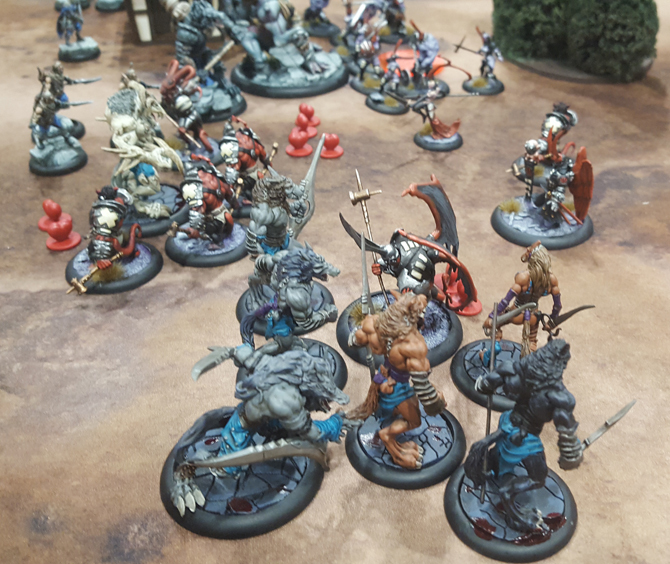 Anyway, as well as the busy booth, we also had several events running for Wrath of Kings. 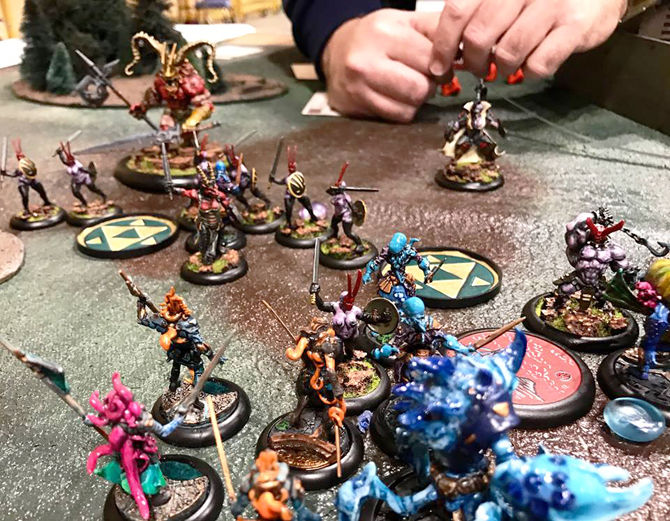 We ran two “Build & Plays”, where people new to the game can purchase a Faction Starter Set, sit down with other people new to the game and assemble their models and the play some games in a friendly, learning environment. These events were both filled with enthusiastic gamers! 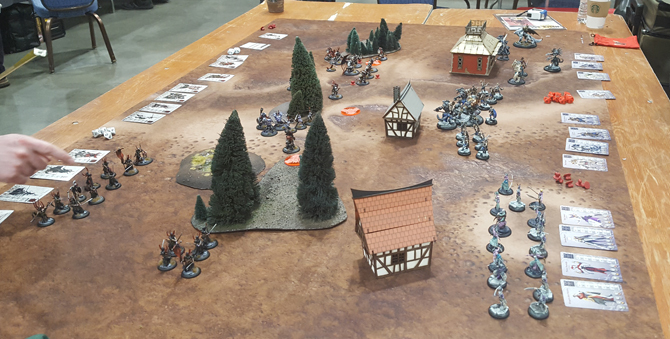 We also ran two Skirmish-level tournaments, and had over 16 players in each. Above are some photos courtesy of Barrett Brooks. 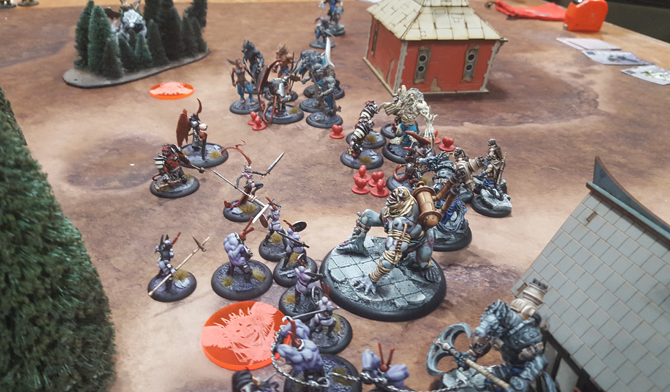 He had a lot of fun with his Hadross force, and will be the team lead for Wrath of Kings later this year at the NOVA Open event! 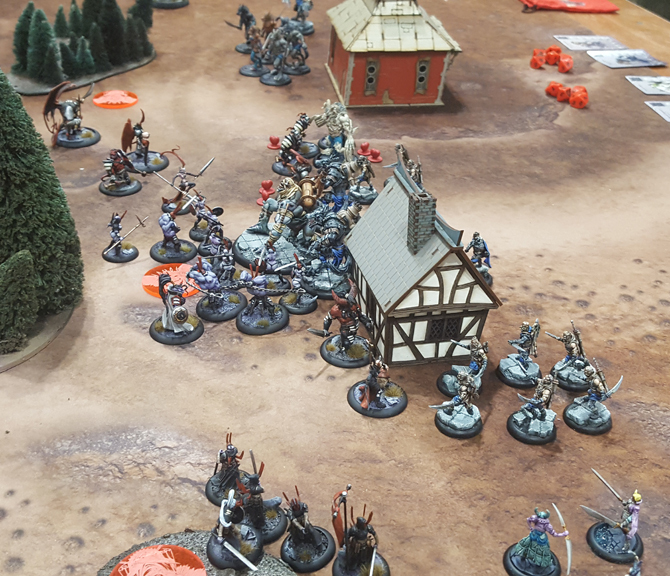 And finally, we had a great event game, the first of it’s kind that we have messed around with, written and run by Wrath of Kings veteran Bobby Limmoggio – The Battle of Ravenwood. 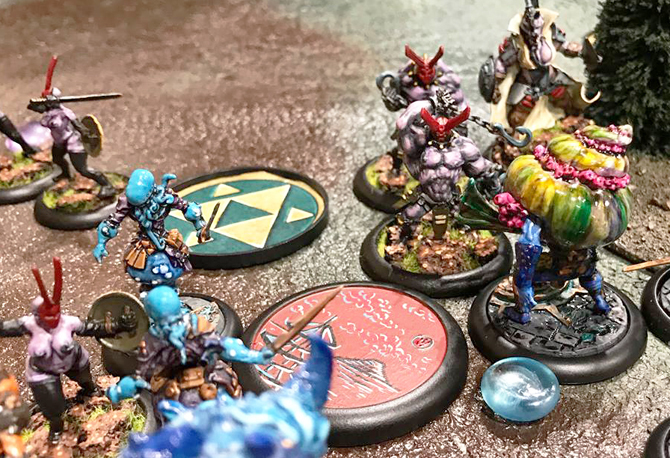 Two veterans and two new players teamed up to play in this big clash of arms. House Nasier and House Goritsi fought it out and in the end, Nasier won the day by the narrowest of margins. 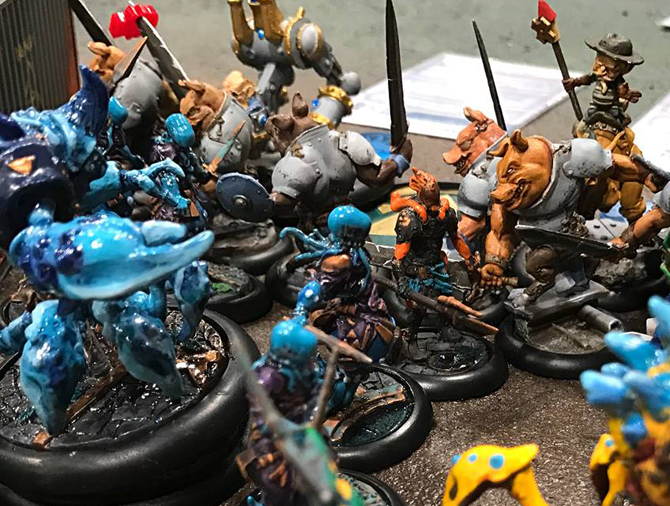 Thanks to Bobby for organizing the game, Chris Weinstein fore the use of some of his Goritsi models, and to Bobby again for these photos. We would like to give our thanks to everyone who played in our events, or even just stopped by the booth over the weekend. 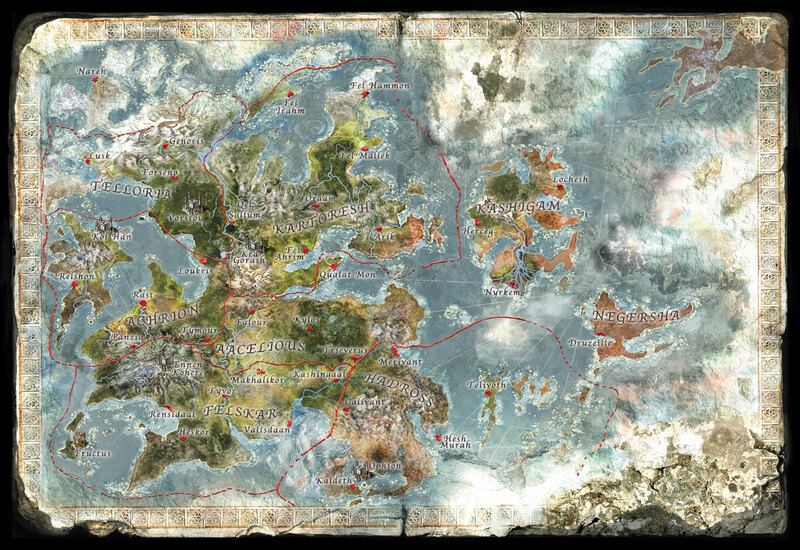 We are very grateful for your support, and look forward to more wonderful Wrath of Kings over the next year!